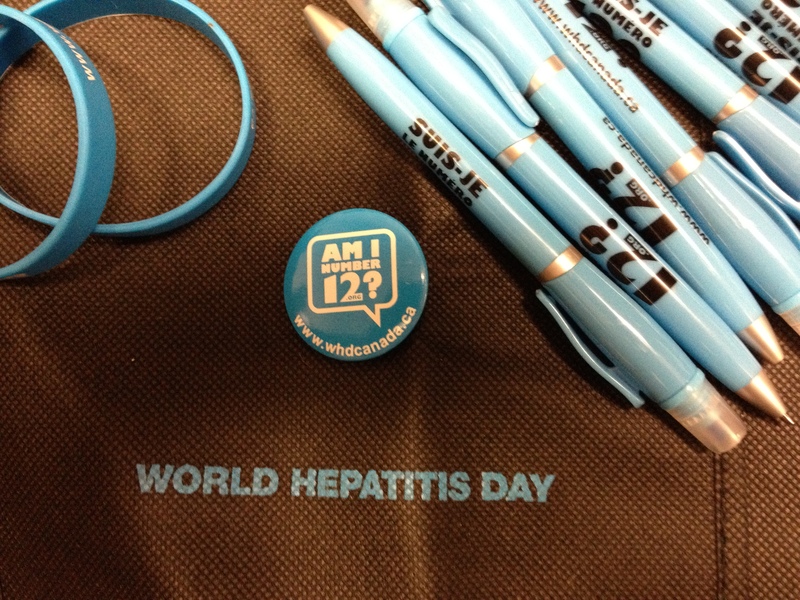 The 2012 Planning Committee designed and developed new promotional items for World Hepatitis Day 2012. These items – t-shirts, tote-bags, wristbands, pens, buttons, postcards, and bookmarks – were distributed at World Hepatitis Day events across Canada to further increase awareness of viral hepatitis. If you are holding an event for World Hepatitis Day 2013 and would like to receive free promotional items, you will need to complete an Event Proposal Form. Please contact Alison Marshall for further information at amarshall@csih.org.